Gene Watson ... sings may be the title of this album but anyone who has ever heard Gene Watson sing knows that just saying he "... sings," is a definite absurdity. Music icons don't "just sing" and Watson surely qualifies as an industry icon. His name is synonymous with many of the true legends of country music and if you are wondering why, all you have to do is throw his latest CD in your player and give a listen. No studio tweaking on this album. None needed. No over-dubbing either. It isn't necessary. No need to turn down the volume -- even when it's loud, it's still rich -- and the driving power on this album isn't drums, it's the magnificent, hit-you-where-you-live, smooth as silk vocals. Watson's first appearance on the country music charts was back in 1975 when, after paying his dues in honky tonks across Texas for ten years, "Bad Water" made him the proverbial over-night success. Over the next several years he racked up an impressive list of top ten hits which included "You're Out Doing What I'm Here Doing Without," "Nothing Sure Looked Good On You," and "Fourteen Carat Mind" (his only number one hit.) Although additional number one hits eluded him, he was a top ten chart staple for decades and has acquired a loyal following of fans. A few of my personal Watson favorites are "Farewell Party," "Sometimes I Get Lucky and Forget," and "This Dream’s On Me." His voice personifies country music. He has been referred to as a "singer's singer" by Marty Stuart, Wade Hayes, Randy Travis, and numerous other major artists. His influence on country music has been far-reaching and always positive. To this point in his career, he has had thirty-seven top forty hits, twenty-one singles in the top ten, and one number one and he shows no signs of slowing down. He has maintained a loyal following for decades and ranks among the best of the best in the hearts of his peers and country music fans alike. 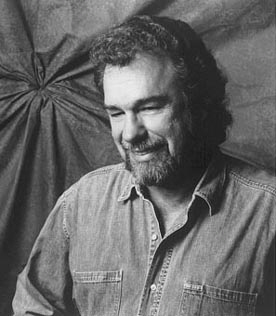 Gene Watson ...sings is like saying rivers run, water falls and mountains rise, it's an absolute under statement.